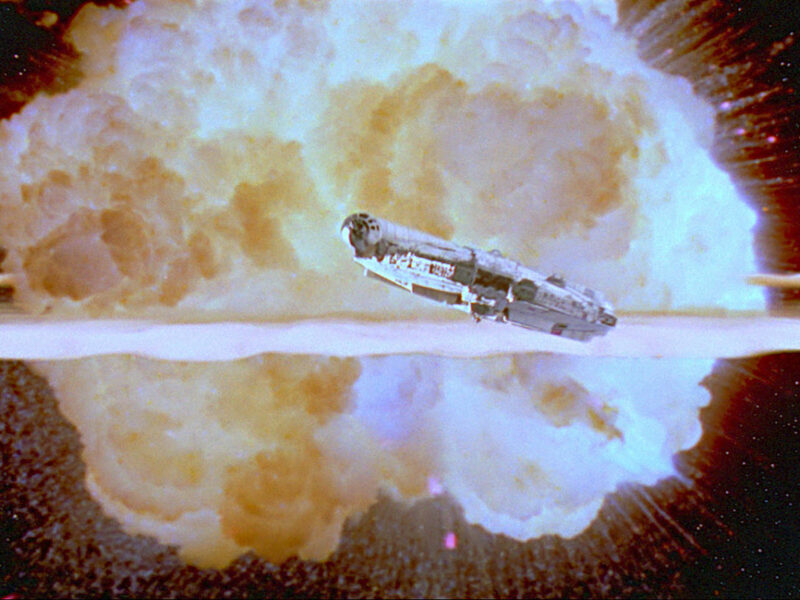 1980 was the year that the galaxy far, far away returned to planet Earth via the silver screen. We’d been treated to re-releases of Star Wars and the funky fashions and winsome wailings of The Star Wars Holiday Special on 17th November 1978 in the UK, but now we were looking at a brand new big screen epic that was set to break records and launch a new decade. 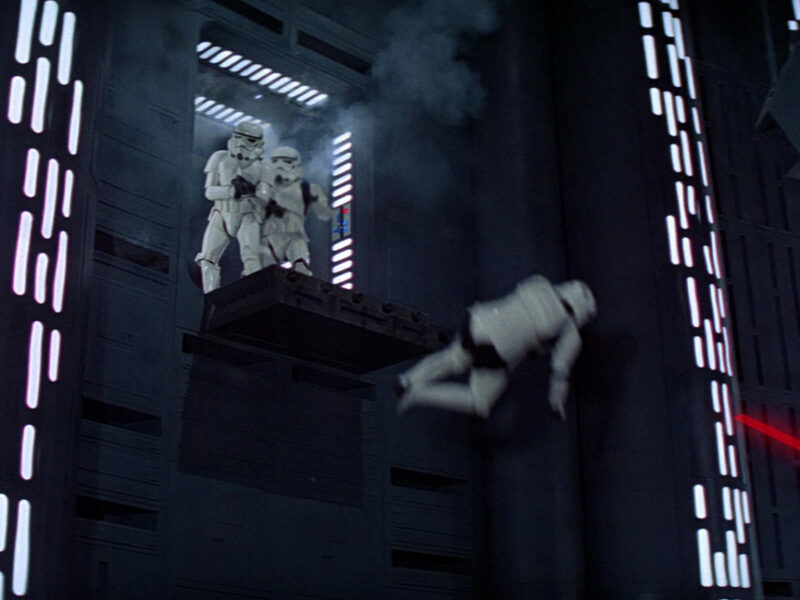 And just as the 1977 original inspired imitation — which, let’s not forget is the sincerest form of flattery — so did it’s sequel, The Empire Strikes Back. 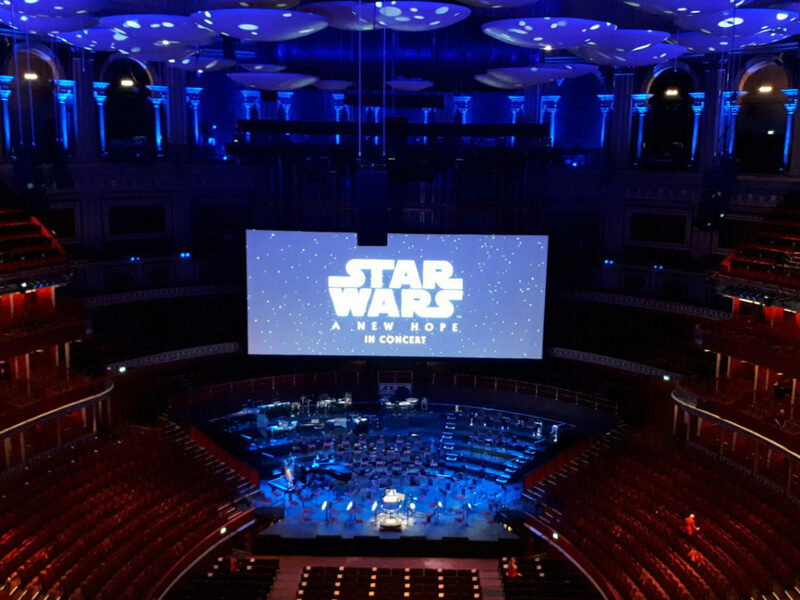 As musical tastes changed so did the music inspired by Empire as musicians, orchestras and ducks put their own spin on the new Star Wars soundtrack. Let’s put the needle on the record and take a listen to what the kids were playing back in 1980. 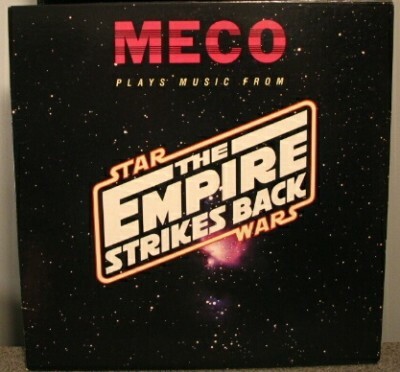 Not strictly an Empire tribute but released at the very beginning of the new decade on 4th January 1980 via Peter Pan Records, this has to rank high on the list of unusual Star Wars mash-ups. Inspired by the popular hit Disco Duck, Peter Pan records began releasing their series of children’s compilation records in 1976, pulling together popular songs of the day. 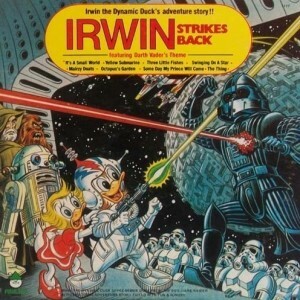 Our was Irwin the Disco Duck (later Irwin the Dynamic Duck when disco went the way of the dodo). Performed by The Wibble Wabble Singers and Orchestra we were led through a medley of hits including “Darth Vader’s Theme,” and “Yellow Submarine” and “Octopus’s Garden” by the Beatles. Now this one is a bit special. Billed as the Symphonic suite from the motion picture and released by soundtrack specialists Varese Sarabande Records, this was unique at the time as it featured alternate versions of familiar Empire cues. 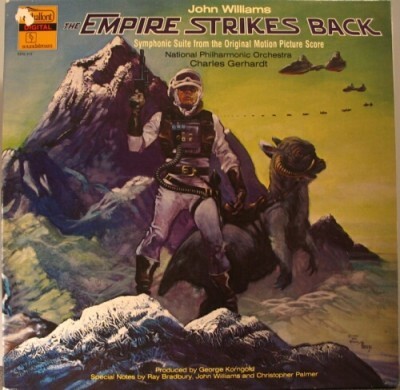 Wrapped around a gorgeous green-hued gatefold cover by William Stout, this was fully endorsed by John Williams, who himself wrote a piece in the inlay dated 17th May 1980. A lush and dramatic interpretation of the Williams score, this stands alongside any of the official recordings of the soundtrack and gives fans a different angle on the music of the sequel. Empire Jazz. Even the title is evocative, and what could be smoother than an album inspired by Empire, slicing through jazz runs and easy grooves? 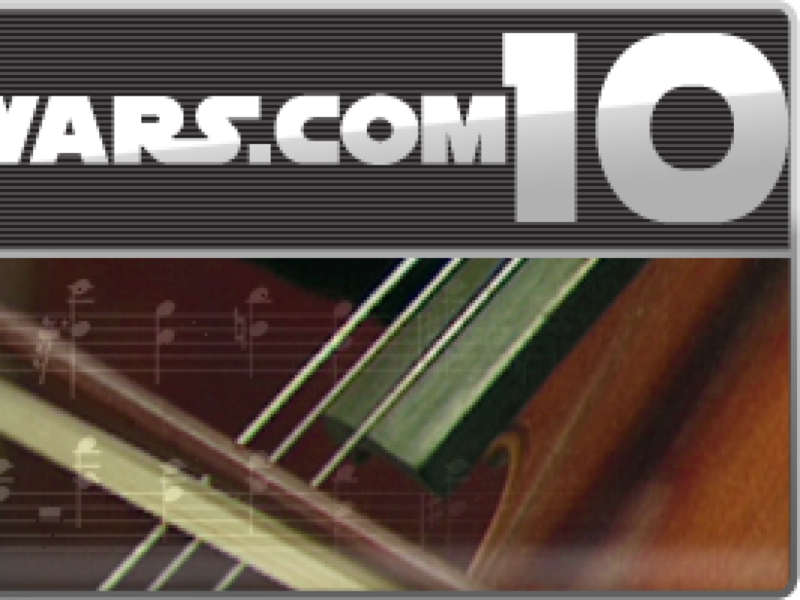 Not much, as veteran bass player Ron Carter and company walk us through a smooth selection of classic tracks. And what about that cover, illustrated by Jeff Wack? 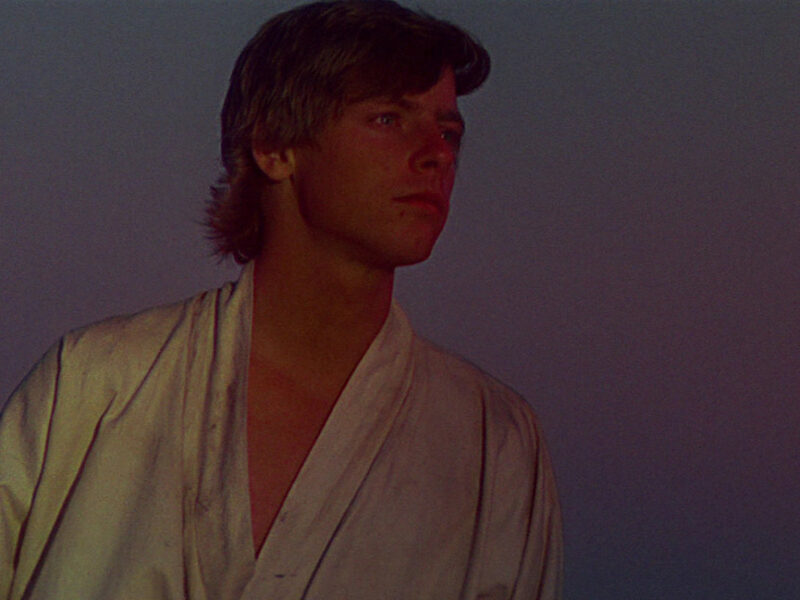 It just goes to prove what a beautiful color palette Ralph McQuarrie chose for the film, and it looks stunning. Meco had set the dance floors alight back in 1977 with his chart topping effort and with the latest film back in cinemas, he was back. 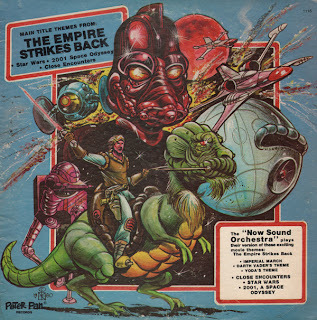 An EP released on 10″ vinyl, the album featured four tracks with opening cut “Darth Vader/Yoda’s Theme” by far the strongest and most effective. There’s no doubt, Meco certainly found the groove in the Force. Released by RSO. Check. Official logo on the cover. Check. Impressive Jeff Wack artwork. Check. 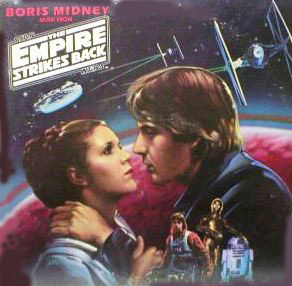 It looks like an official Star Wars release, but this album was a four track flight through the soundtrack of Empire overseen by funkmeister Boris Midney. Bongos, violins, drums, bountiful amounts of high hat, horns, funky bass — it’s all here, designed to get you stepping out onto the dance floor and doing the robot. Of all the Empire releases this one will probably surprise you the most, as it feels like it should have been heard a lot more than it has. 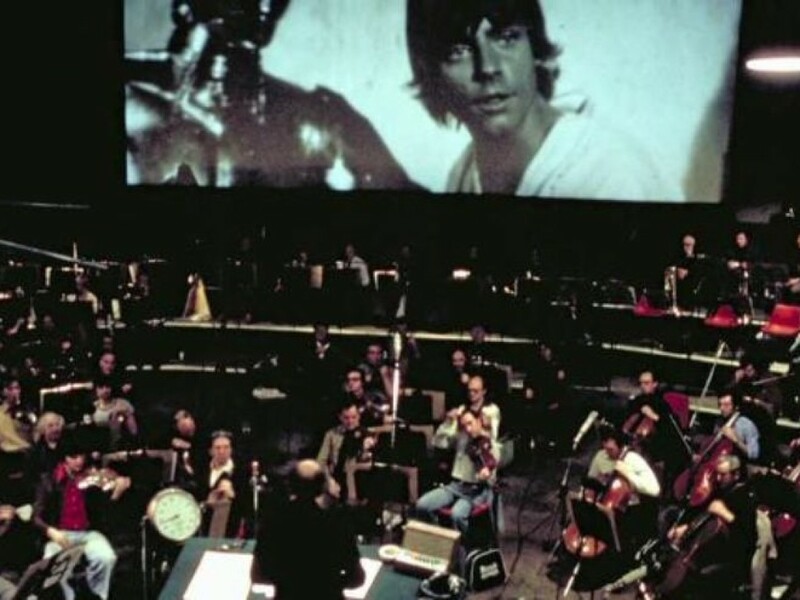 Peter Pan Records were fast becoming the go-to company for Star Wars tribute releases and they once again treated us to a galactic sound odyssey with this gem, recorded by The Now Sound Orchestra. 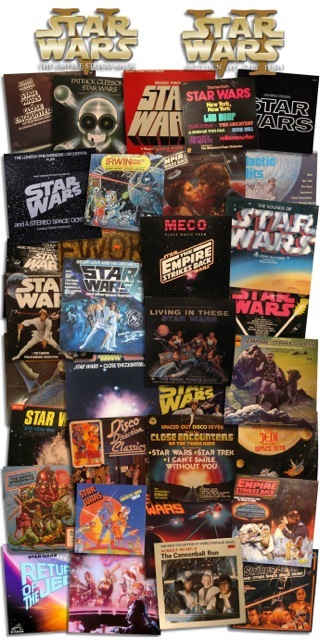 It runs through the theme from 2001, four Star Wars tracks (two from Empire, two from Star Wars), and another John Williams compositions in the form of Close Encounters. 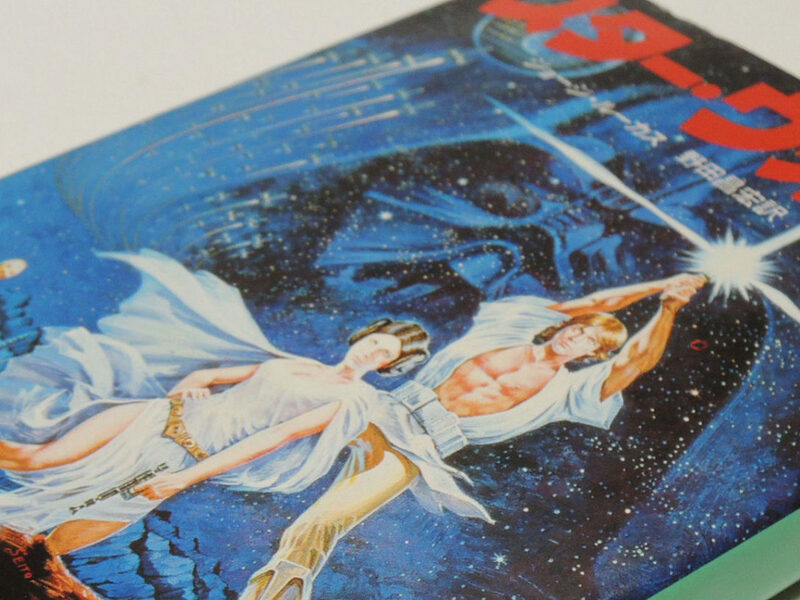 1983 arrived and along with it came what was then the most anticipated sequel in movie history, Return of the Jedi. The trend for sound-alike releases and disco versions had waned significantly as 8-tracks said goodbye, cassettes outsold vinyl, and a new-fangled technology called Compact Disc, which entered the market in October 1982 with Billy Joel’s 52nd Street, began to gain in popularity. Who else but Meco was going to bring the dance floor to the Disco Star? 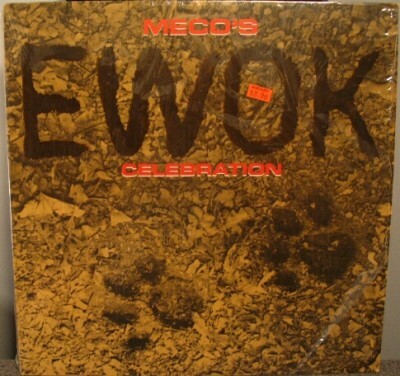 Meco wisely opted to steer clear of the already lively Jabba’s court music and honed in on the Ewok Celebration, releasing a single with both a Club and Dub (no lyrics) version via Arista Records. 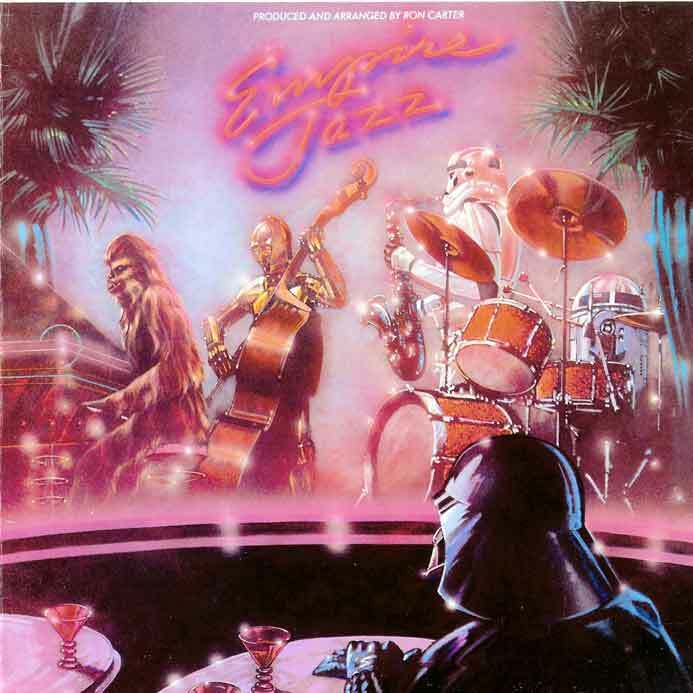 Not that those Ewoks ever needed an excuse to dance, but who could resist the grooves of the Star Wars musical legend? 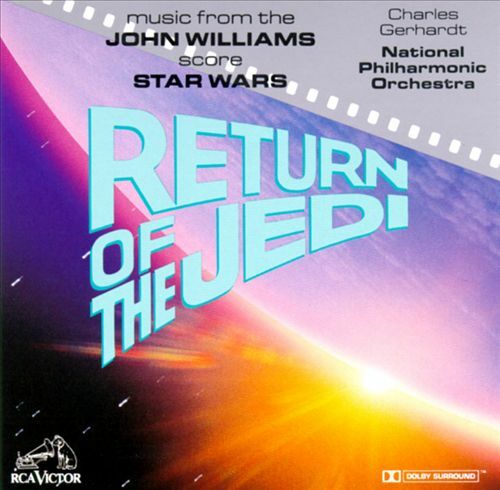 Three years later and Charles Gerhardt and the National Philharmonic Orchestra, via RCA Records, would once again visit the soundtrack of a Star Wars film, this time the second sequel. A far more faithful adaptation of the soundtrack, Gerhardt once again shows his understanding of the nuances of Williams music and the moments being conveyed in the film. 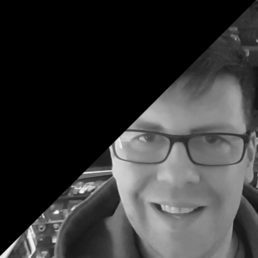 So there you have our brief but hopefully fun sojourn through the many and varied takes on the classic music of the original trilogy. There’s psychedelia, electronica, disco, jazz, ducks, faithful adaptations, and yes, there are even pipe organs. 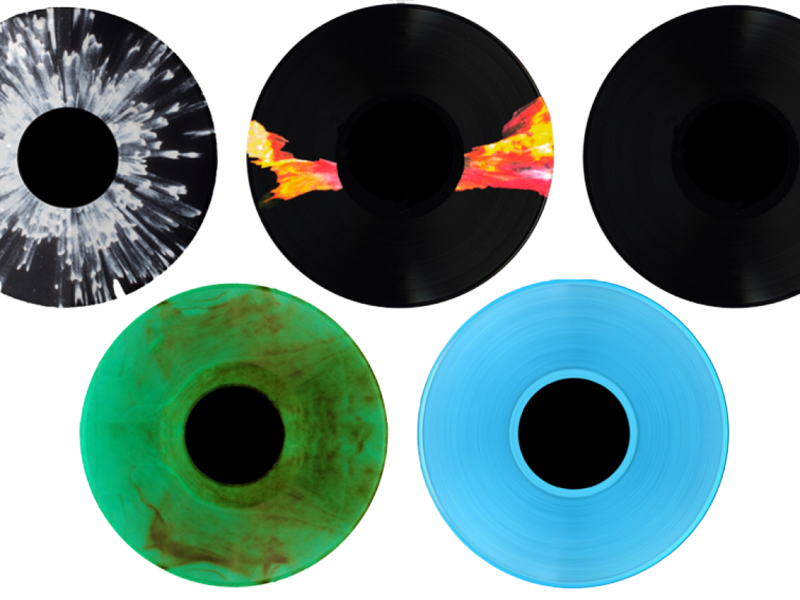 While you may never find a more wretched hive of scum and villainy, if you dust off the wheels of steel and spin these classics then you will definitely find a groovy jive of funk and thrillainy.